New York-based Citrin Cooperman (FY14 net revenue of $173 million) announced that two partners have been admitted: Paul Helderman and Ronald Hegt, each with more than 30 years of experience in tax consulting and planning. Helderman’s focus will be on accounting for income taxes and tax compliance while Hegt will lend his specialization in tax planning to the firm’s trust and estate clients. Helderman has worked with Fortune 50, 500 and 1,000 publicly and privately held multinational corporations, with an emphasis on income tax accrual reviews and tax compliance projects. 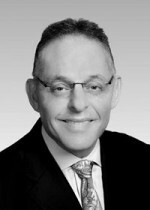 Prior to joining Citrin Cooperman, he served for eight years as tax director in the federal tax practice of a top-tier international accounting firm. At Citrin Cooperman, he will focus on the evaluation of internal tax department controls, preparation or review of income tax accruals along with tax compliance and tax consulting projects. “Having advised both publicly and privately held companies in managing their tax risk, I am certain that Citrin Cooperman is the right choice for clients seeking to implement both a tax-efficient and risk-based tax strategy,” says Helderman. Hegt is a widely published expert on tax planning, trust and estate procedures, and the impact of state and local taxes on business operations. He has worked as a senior-level tax partner for close to 25 years at leading regional firms, designing training programs for tax professionals and managing engagements for both corporations and high-net-worth individuals.